Hello! 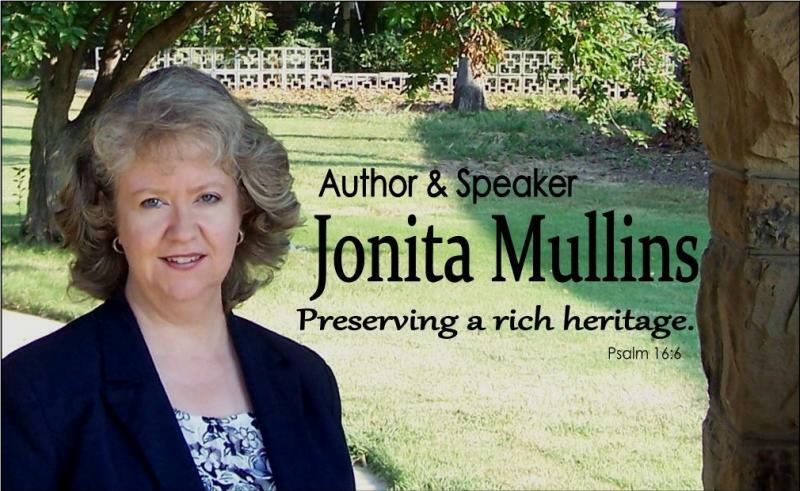 I am Jonita Mullins, an award-winning author, speaker, historian, preservationist and tour guide. I'm eagerly awaiting the release of my latest book, Oklahoma Originals: Early Heroes, Heroines, Villains and Vixens, from The History Press. Contact me about pre-orders. Through writing, speaking, art and historical tours, I offer you this great Oklahoma heritage. I am proud to be an Okie. Oklahoma has a unique history and heritage and great natural beauty. I try to celebrate my home state's rich diversity, natural beauty, colorful Western history, Southern hospitality and down-to-earth family values. This is my Rich Heritage and I love sharing it with you. Check out all the products and services I offer. I publish a semi-regular newsletter also. Sign up on the newsletter page.